Yesterday, Eaton asked me to play with a globe that I put a little bit higher on a shelf since we moved to our new place. Right away I thought about new stuff I can teach Eaton using globe. I looked at our shelf and I saw a sphere-3 dimensional figure. 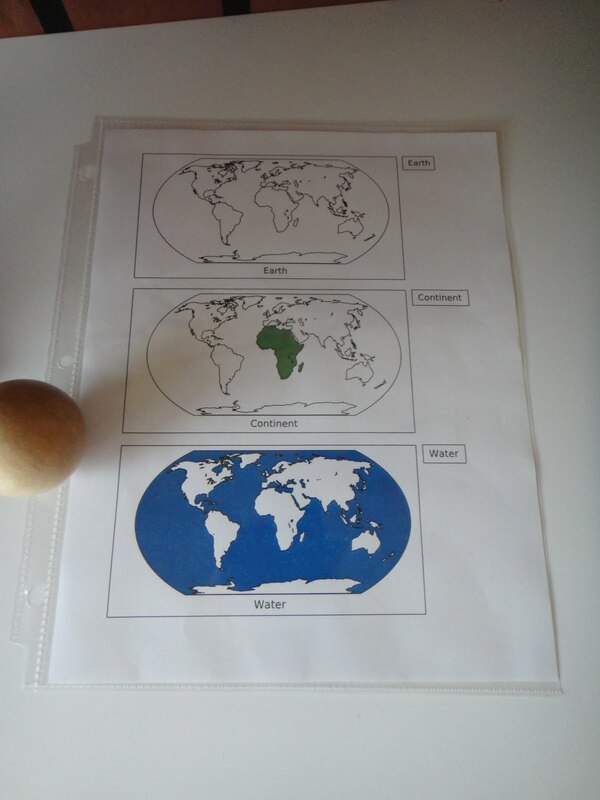 I grabbed it together with a paper sheet that included pictures of land/continents and water. This lesson was very relaxed. Because Eaton is getting so good with verbal conversation I decided to ask him questions instead of using direct teaching method. *Is Madagascar below or above Equator? *Is Europe on a Southern Hemisphere? "No"; "Where is it", "On Northern Hemisphere"
*How many Continents are there? *Can you point to the Australia please? *In the last activity I asked him to color water-blue color and land-green color on a worksheet. 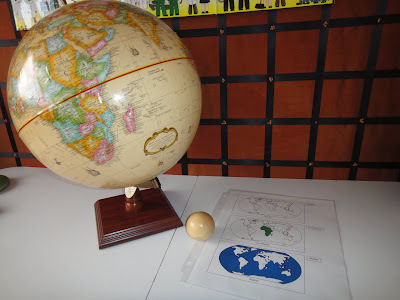 We also read a book called "Spheres"
That was a good lesson-slowly progressing with geography!